@SocialBoxBiz donated a laptop to a jobseeker on @ThamesReach's @stepuplondon project. She now has a new job thanks to it. Great initiative! The appeal is being made by The Laptops for Homeless Support Initiative run by SocialBox.biz, a London based technology social enterprise that donates IT equipment to benefit people’s lives. 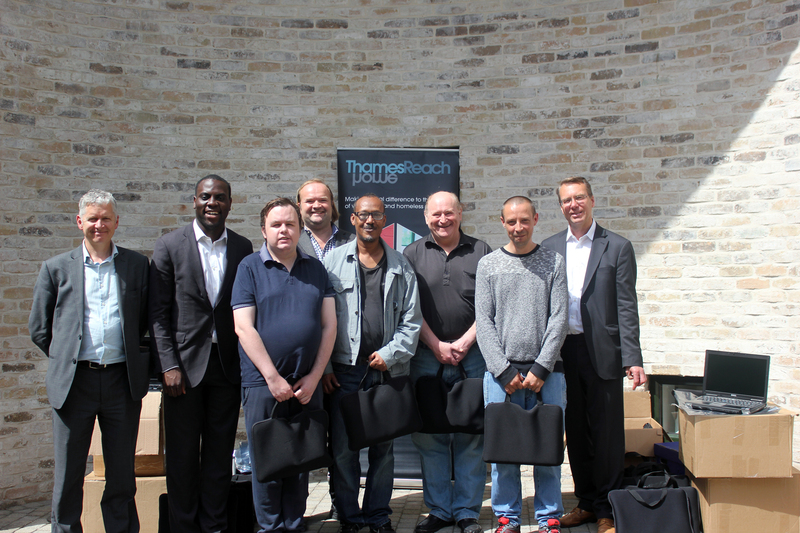 The initiative has already donated 150 refurbished laptops to Thames Reach homelessness charity. They are appealing to businesses to donate their old laptop computers so that they can be refurbished and given to people who have experienced homelessness. The goal is to collect 1,000 laptops by 2020, which will be distributed by homelessness charity Thames Reach to the people using its services. In order to apply for jobs, reconnect with family and friends, and have an online presence today they people need access to laptops. The initiative has had quite a few prominent business leaders tweet out about their project already. They are looking to kick-start a social media campaign to help them reach more businesses. For more information on SocialBox.Biz’s impact on local communities, visit www.socialbox.biz. Thames Reach runs a range of services in London including street outreach services helping people sleeping rough escape homelessness, a variety of hostels and supported housing projects, and schemes which prevent homelessness and help people develop new skills, re-engage with family and friends, and get back into work. Thames Reach works closely with local communities to ensure that it contributes to improving neighbourhoods and meeting local need. For further details contact Thames Reach communications manager, Mike Nicholas, 0203 664 9562.